11 years ago, I was just starting my 2nd year of graduate school, getting my MSW. I had attended my first day at my internship and was meant to go in the next day for my second day. Instead, the world as we knew it changed that morning. 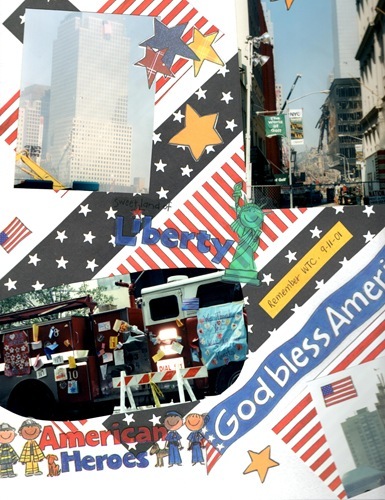 My school was located in New York City and our first day of class that year was on September 12. Classes were not canceled and being in the city that day, the day after everything had happened, was eerie and scary and really difficult. Dave and I lived in New Jersey and could see the smoke from our apartment. 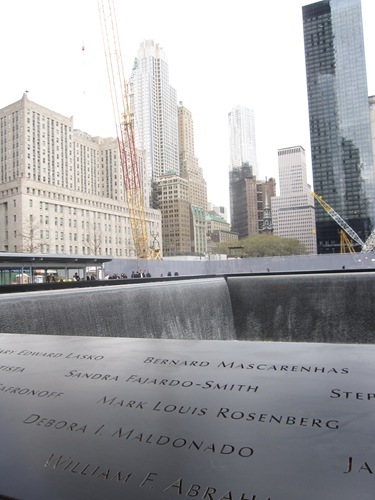 It was a hard and difficult time for many reasons, the tragedy of September 11 being a big one. 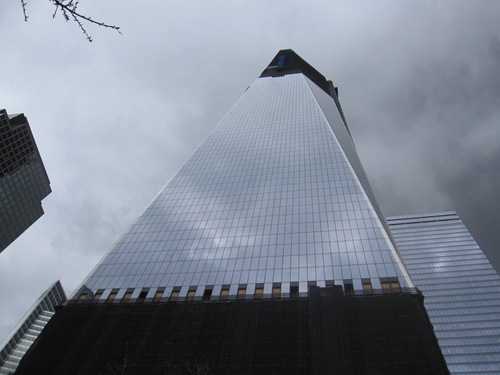 In May of 2011, for Dave’s birthday, we took a plane trip on a small plane and we flew up the Hudson River, directly past the World Trade Center. 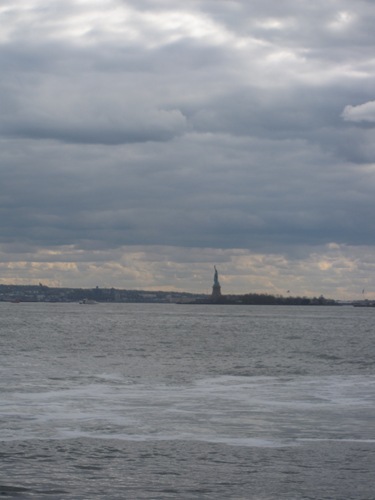 We never imagined those towers wouldn’t be there so shortly afterwards. We went into the city shortly after the 11th to see the ruins. 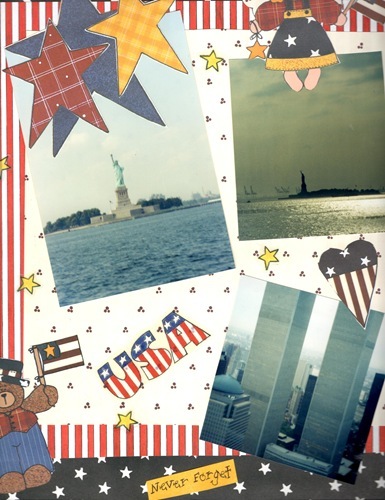 I made these scrapbook pages later that year. 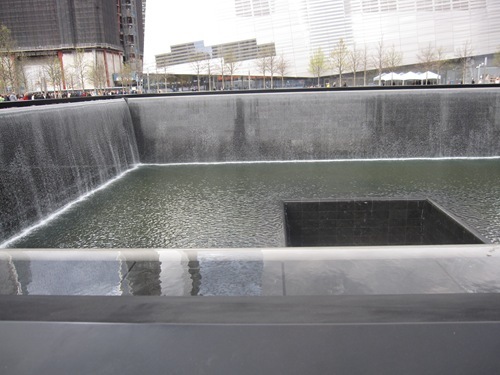 This past April, we visited the memorial. We thought it was well done and meaningful. Here are some photos I took there. There was a computer system where you could look up people by name, where they were from, the company they worked for, etc. The system would then tell you where you could find their name on the memorial. 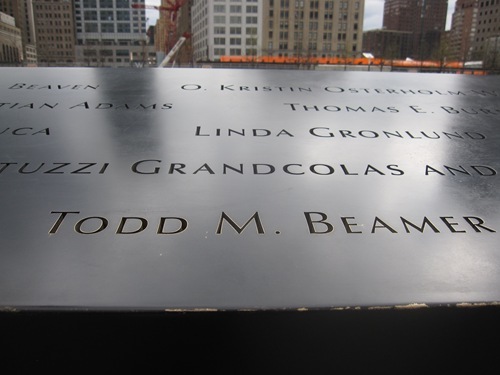 Names were placed together based on where the victims were when they died (all of Flight 93 together, for example). Mark Louis Rosenberg was a member of my sister-in-law and brother-in-law’s synagogue. In fact, the synagogue is now named after him.